Logitech has announced the Wireless Headset H760, offering up to six hours of battery life. 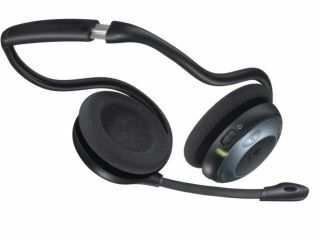 The Logitech Wireless Headset H760 is billed as a comfortable, wireless entertainment device that lets you move up to 40 feet away from your computer. "Our newest headset gives you the freedom to roam when you're connecting with your co-workers and loved ones, or when you just want to be entertained," said Marcus Harvey, Logitech UK Country Manager. "Our plug-and-play wireless headset is easy to set up, easy to wear, and easy to use." The Logitech H760 headset offers a built-in and quick-access audio controls to adjust volume, pause and navigate your playlists and a noise cancelling microphone which mutes automatically when swung away. The navigation controls are compatible with Windows Media Player and iTunes.